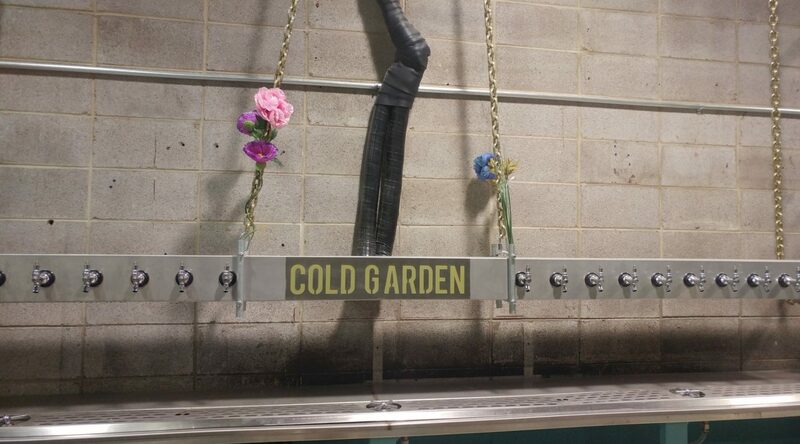 On Saturday, I went to Cold Garden to have a look around, to see how they have been getting set up and ready for the next level of being a brewery, opening the tap room. They have come out with some beers that have been OUTSTANDING, and they have no signs of slowing down at all. If anything, they are picking up the pace in popularity and rightfully so. Looking around in the brewery they are getting some final touches done. As they want to keep with the theme of their brewery name. It seems they are on the right track! I got to see some of the designs they are putting in for it, what they have for flight holders, the flight glasses they are going to be using, and taps they have set up. The brewery itself has a lot of space for growing, and gaining a lot of area for when, not going to say if, they expand. 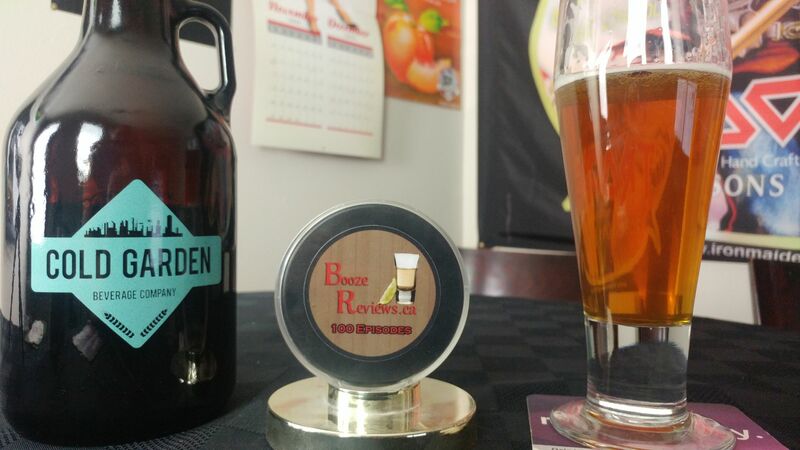 With family and friends helping out they seem to be on track to keeping their name in the craft beer world around Calgary and area. I have to say I LOVE the pool noodle idea that seems to have stuck with them when they were in a bind to get a tap handle to a client. 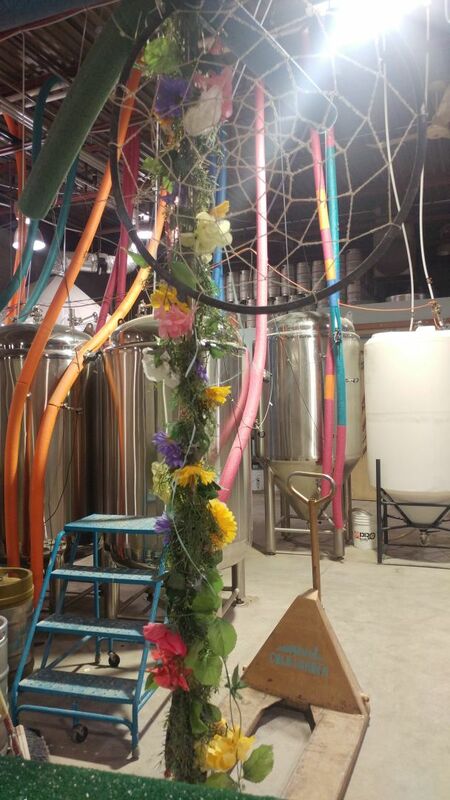 This little idea has grown into a staple that you can see around the city on tap handles and in the brewery! Sitting down with Kris, she let me sample some beers. I was going to start with a sour porter, but Kris suggested I save that particular one to the end because it may wreck my palate for the other beers. What beers did I try? 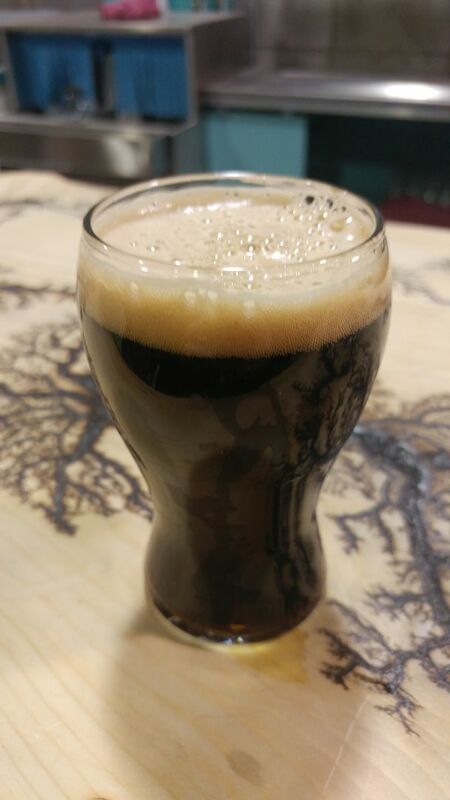 Well I had to start off with one of my go to beers that I enjoyed back in September – the Vanilla Cappuccino Porter. This beer has some great flavors in it still, and when it is fresh from the brewery, it is the best thing ever! It really can be classed as a morning beer, wakes you up and gets you ready for the day! Next up I had the Cakeface (Do you sense a pattern here?). The Cakeface has hints of vanilla in it and at the end of it after you swallow gives you a full on vanilla cake flavor that just lingers in your mouth like you took a bite of a boozy cake! Something that you really must taste for yourself! Not overly sweet, and just the right amount of mixtures to give the beer a unique quality. The last one I had was the Sour Patch Porter! This one was unique to say the least. The smell and taste were two different things. You get a bit of a burnt malt smell on the nose with a bit of a lemony back smell, when you drink it, you get more of the sour, with the porter style taking a backseat. So amazing and easy to drink, and this is coming from someone that isn’t a fan of sours! 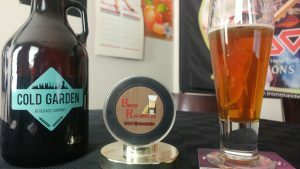 I also took home the East Calgary Lager, and I did a review of it which you can find here! Cold Garden Beverage Company Opens July 2017! Overall, this was a great brewery tour I loved every part of it. What they have planned is going to really make some big waves in the craft beer scene. Being able to share their experiences with the community and other breweries and not being afraid to take risks will give them the success they deserve! When this brewery fully opens their tap house, I highly recommend going to see them. It is one of the fun ones that will be rocking Calgary and beyond! I would like to thank Kris and Cold Garden for opening their doors to me and allowing me to be a part of the brewery tour.